Sheriff Mike Brown is pleased to announce that the Bedford County Sheriff’s Office School Resource Officers, under the command of Capt. Tim Hayden and Sgt. Randy Smith, attended the Virginia State YOVASO (Youth Of VA Speak Out) awards dinner, held at the James Madison University. 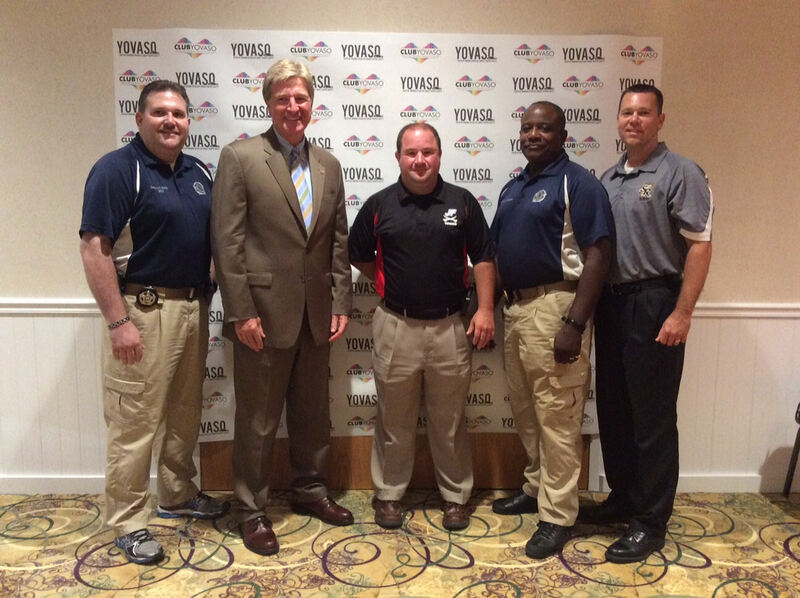 Each SRO coordinates a YOVASO team in the high and middle schools in Bedford county. Students create campaigns that promote safe driving habits, seat belt usage, no texting while driving and how to be a responsible passenger. Out of 146 schools throughout the state, Bedford County SROs and their schools walked away with seven of the top awards, over 50%, including Cpl. Ryan Hilbish, Law Enforcement Officer of the Year, his school principal, Dr. Leann Calvert of Jefferson Forest High, received the School Administrator of the Year, Jefferson Forest High also received the Outstanding YOVASO Club of the Year. Deputy Chris Cook, SRO of Staunton River High was awarded school Resource Officer of the year and Staunton River High won YOVASO Club of the Year. Student Volunteer of the Year went to Grace Overstreet, daughter of Stephanie Overstreet, who received the Shining Star Award for her efforts in promoting teen driver safety through her foundation “F.O.C.U.S. for ABB” which was established in memory of her daughter, Ashley.